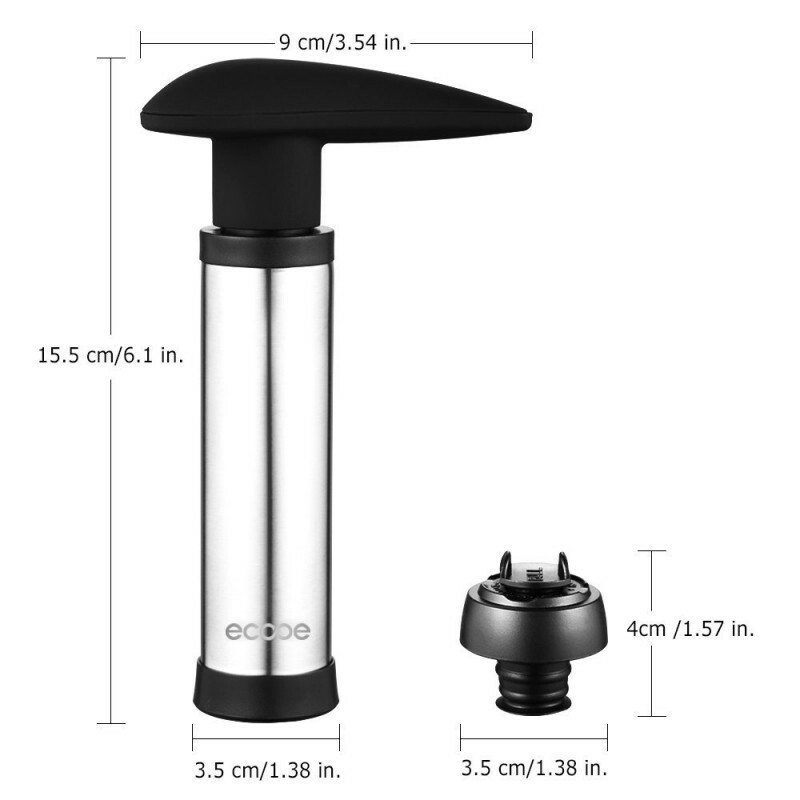 Premium stainless steel and ABS plastic are durable and safe to use ans reuse. 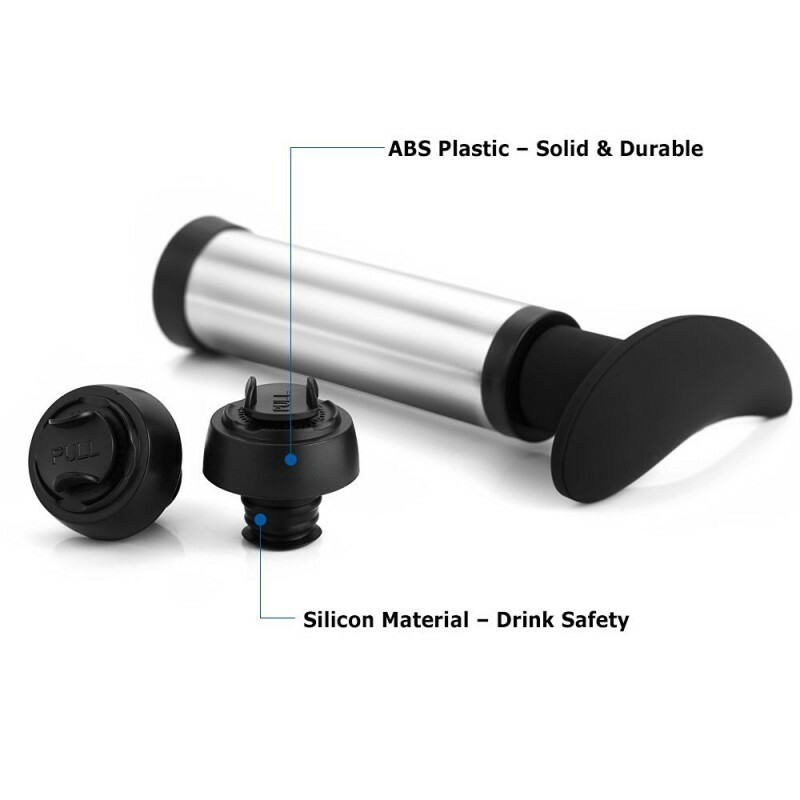 And the silicone part of the bottle stopper ensures no flavor will transfer to the wine. 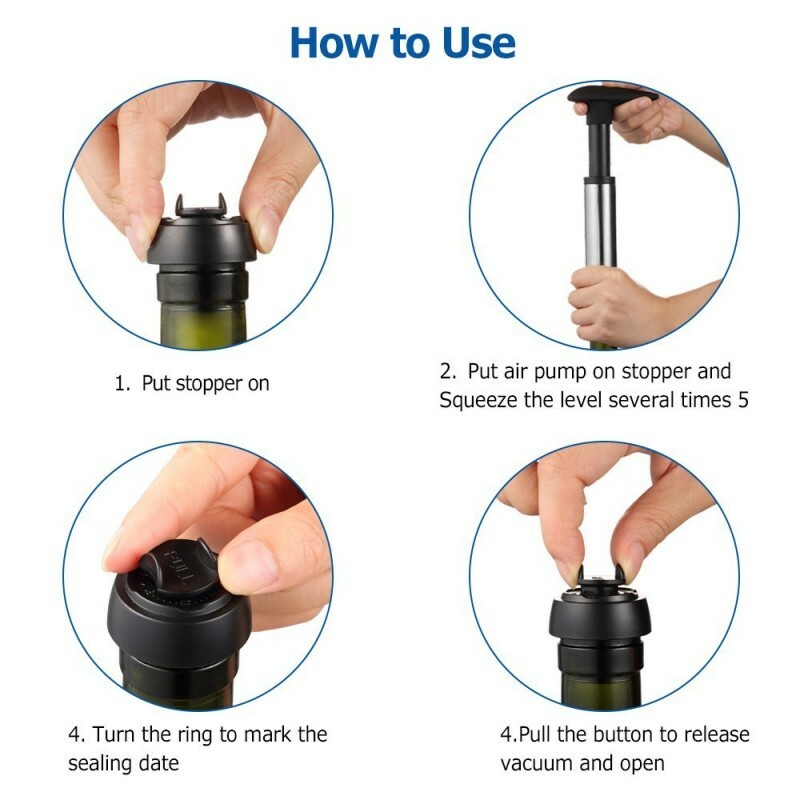 The airtight seal helps to slow down the process of alcohol oxidization, preserving your wine fresh for days to drink. 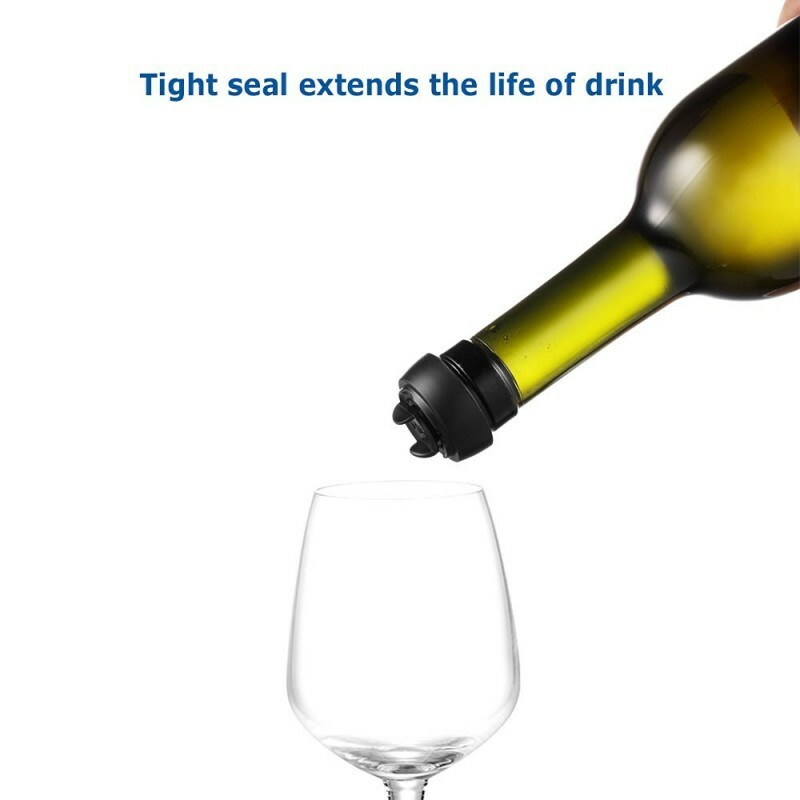 And also ensures no spills and leaks. 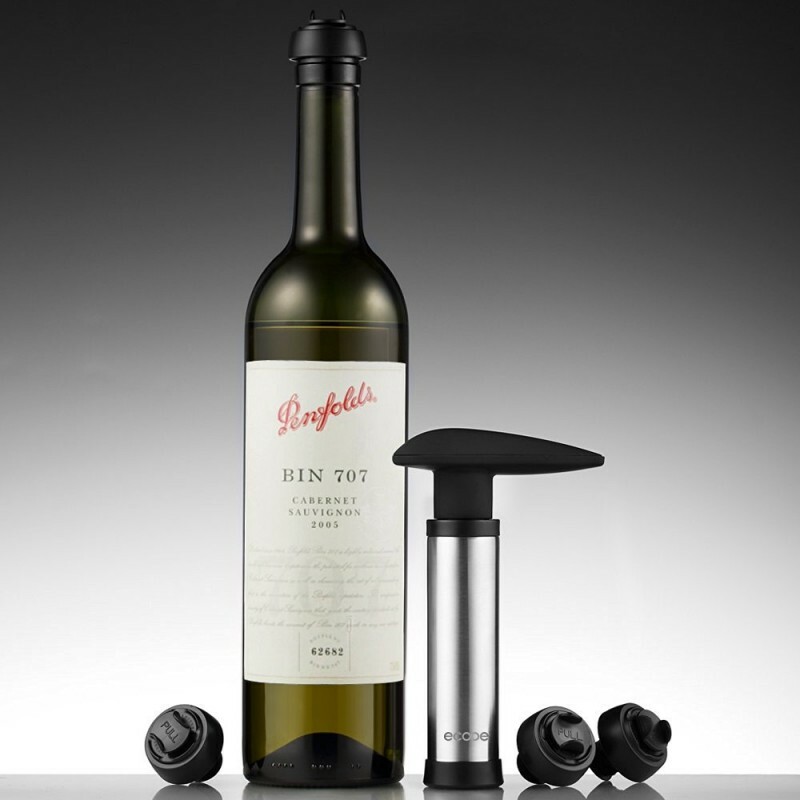 Adopting the standard size and cap shape, the bottle stopper fits well with most standard wine bottles. 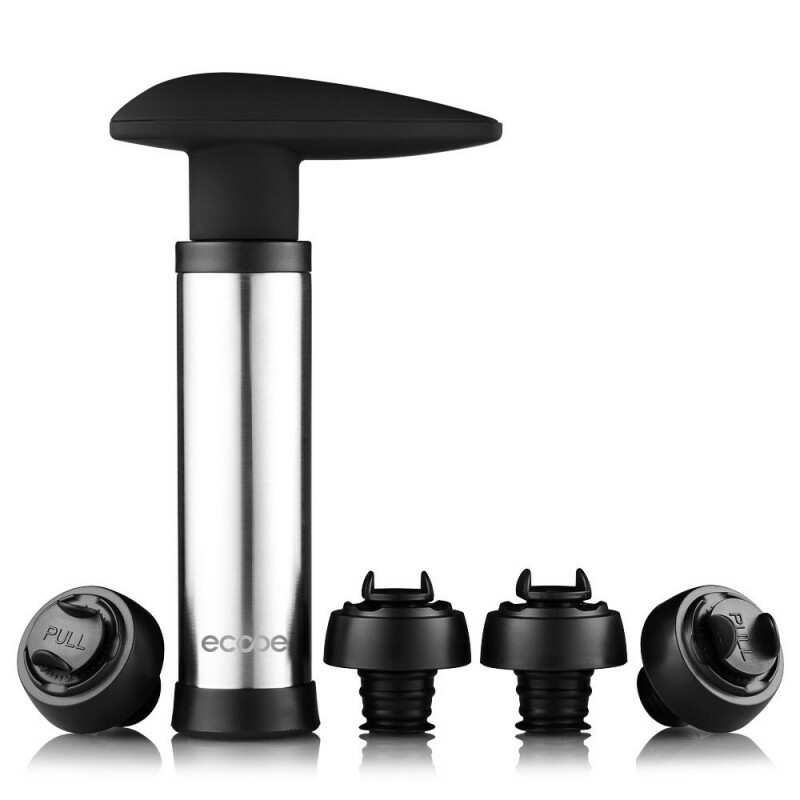 Four stoppers allow you to preserve multiple bottles of wine at the same time.